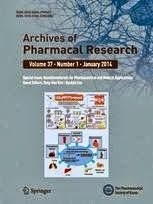 We investigated possible synergistic action of anticancer drug Irinotecan (IRI) combined with ethanolic (EEP) and water-soluble (WSDP) derivate of propolis on Swiss albino mice injected with Ehrlich ascites tumor (EAT). For survival analysis mice were administered WSDP and EEP (100 mg/kg) daily for 3 consecutive days, beginning on 3rd day after EAT cell (1×106) injection. IRI was administered at a dose of 50 mg/kg on days 1, 13, and 19. We simultaneously studied peripheral white blood cell count, cell types washed from the peritoneal cavity, functional activity of macrophages from peritoneal cavity, and the level of primary DNA damage in leukocytes, kidney, and liver cells using the alkaline comet assay. Three out of 9 mice per group survived the entire duration of the experiment (90 days) in groups treated with IRI combined with WSDP and EEP. All test components increased survival of mice by 7.53% to 231.54%. Combined treatment with IRI and/or WSDP and EEP significantly decreased percentage of tumor cells in the peritoneal cavity as compared to nontreated EAT-injected mice. All treated animals had significantly higher percentage of neutrophils in the peritoneal cavity in comparison to nontreated EAT-injected mice. We observed significantly higher value of DNA damage in leukocytes of mice treated with IRI and combination of IRI and/or WSDP and EEP as compared to nontreated EAT-injected mice, while the same treatment decreased DNA damage in kidney. Our results showed that addition of propolis to IRI treatment enhanced antitumor activity of IRI and prolongs survival in EAT-bearing mice, which definitely deserve further studies to clarify the possible mechanisms of antitumor actions of combined herb-drug treatments. 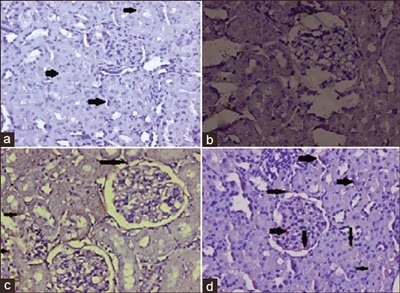 The present study was designed to investigate the chemo preventive efficacy of bee propolis (BP) against diethylnitrosamine (DEN) initiated and ferric nitrilotriacetate (Fe-NTA) promoted renal carcinogenesis in Wistar rats. Chronic treatment of Fe-NTA induced oxidative stress, inflammation and cellular proliferation in Wistar rats. BP is a resinous material collected by bees from various plants which has been used from centuries in folk medicine. Renal cancer was initiated by single intraperitoneal injection of N-nitrosodiethylamine (DEN 200 mg/kg body weight) and promoted by twice weekly administration of Fe-NTA 9 mg Fe/kg body weight for 16 weeks. The chemo preventive efficacy of BP was studied in terms of lipid peroxidation (LPO), renal anti-oxidant armory such as catalase, superoxide dismustase, glutathione S-transferase, glutathione peroxidase, glutathione reductase and glutathione (GSH), serum toxicity markers, cell proliferation, tumor suppressor protein and inflammation markers. Administration of Fe-NTA enhances renal LPO, with concomitant reduction in reduced GSH content and antioxidant enzymes. It induces serum toxicity markers, viz., blood urea nitrogen, creatinine and lactate dehydrogenase. Chemo preventive effects of BP were associated with upregulation of antioxidant armory and down regulation of serum toxicity markers. 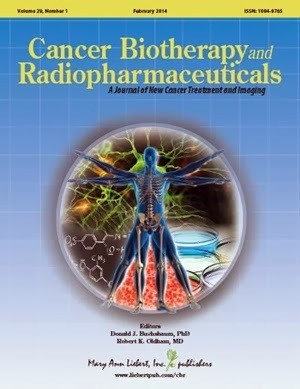 BP was also able to down regulate expression of proliferative cell nuclear antigen, cyclooxygenase-2, tumor necrosis factor-alpha and upregulated p53 along with induction of apoptosis. Histopathological changes further confirmed the biochemical and immunohistochemical results. These results provide a powerful evidence for the chemo preventive efficacy of BP against renal carcinogenesis possibly by modulation of multiple molecular pathways. Wound Care in the Wilderness: Is There Evidence for Honey? Honey is one of the most ancient remedies for wound care. Current research has shown promising results for its use in wound care. This review is intended to inform readers of the physiological properties of honey and the evidence that exists to support its clinical use. When compared with evidence for current wound treatment, honey has proven to be a safe, effective, and sometimes superior treatment for various wounds. There are currently US Food and Drug Administration-approved medical-grade honey products available in the United States. Although there have been no clinical trials exploring the use of honey in wilderness environments, it may be a safe, improvisational wound treatment. More robust studies are needed for definitive conclusions of its efficacy and safety. A thorough summary of the magnificent properties of propolis. As stated below, "despite its variety, it is always highly biologically active". This explains why has many applications in treating and preventing chronic diseases. Is it any wonder that the Swiss government wants to restrict its use for pharmaceutical purposes? Propolis is a potential source of natural antioxidants such as phenolic acids and flavonoids. Its wide biological effects have been known and used since antiquity. In the modern world natural substances are sought which would be able to counteract the effects of antioxidative stress, which underlies many diseases, such as cancer, diabetes and atherosclerosis. 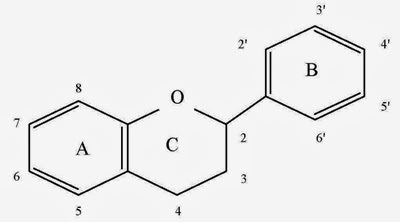 This paper aims to present the antioxidative activity of phenolic acids and flavonoids present in Polish propolis and the relationship between their chemical structure and antioxidative activity influencing its medicinal properties. Data concerning the biological activity of propolis are summarized here, including its antibacterial, anti-inflammatory, anticarcinogenic, antiatherogenic, estrogenic effects, as well as AIDS- counteracting and reparative-regenerative function. As a substance of natural origin, propolis does not have a stable and reproducible chemical composition. Thus, a serious research problem arises, that of defining its full composition in a credible way. Despite its variety, it is always highly biologically active. Among the most significant chemical compounds comprising Polish propolis are phenolic acids and flavonoids. Owing to their structure, these compounds display high antioxidative activity. For a download of the complete study - click here. In the present study we experimented on a multimodal therapeutic approach, such as combining chemotherapy agent (Bee venom) with cellular (NK-92MI) immunotherapy. Previously bee venom has been found to show anti-cancer effect in various cancer cell lines. In lung cancer cells bee venom showed an IC50 value of 3 μg/ml in both cell lines. The co-culture of NK-92MI cell lines with lung cancer cells also show a decrease in viability up to 50 % at 48 h time point. Hence we used bee venom treated NK-92MI cells to co-culture with NSCLC cells and found that there is a further decrease in cell viability up to 70 and 75 % in A549 and NCI-H460 cell lines respectively. We further investigated the expression of various apoptotic and anti-apoptotic proteins and found that Bax, cleaved caspase-3 and -8 were increasing where as Bcl-2 and cIAP-2 was decreasing. The expression of various death receptor proteins like DR3, DR6 and Fas was also increasing. Concomitantly the expression of various death receptor ligands (TNFalpha, Apo3L and FasL) was also increasing of NK-92MI cells after co-culture. Further the DNA binding activity and luciferase activity of NF-κB was also inhibited after co-culture with bee venom treated NK-92MI cell lines. The knock down of death receptors with si-RNA has reversed the decrease in cell viability and NF-κB activity after co-culture with bee venom treated NK-92MI cells. Thus this new approach can enhance the anti-cancer effect of bee venom at a much lower concentration. Thermal imaging has been utilized, both preclinically and clinically, as a tool for assessing inflammation. Psoriasis is a chronic inflammatory skin disease characterized by hyperkeratosis, dermal inflammatory infiltrate and increased angiogenesis. The aim of the present study was to assess usefulness of thermography in psoriatic lesion regression after topical treatment with bee propolis, recognized as potent antioxidants and anti-inflammatory agents. We monitored the inflammation process induced by irritants such as n-Hexyl salicilate (HXS) or Di-n-Propyl Disulfide (PPD) by hystopatological assement of skin, thermographic scanning, total number of inflammatory cells in peritoneal cavity, differential analysis of cells in peritoneal cavity, macrophage spreading index, haematological and biochemical parameters, frequencies of micronucleated reticulocytes, lipid peroxidation and glutathione assay in skin. 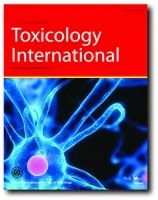 Topically applied ethanolic extract of propolis (EEP) with HXS or PPD reduced the lipid peroxidation in skin and total number of inflammatory cells in skin and peritoneal cavity, functional activity of macrophages, the number of micronuclei in mouse peripheral blood reticulocytes and enzymatic activity of ALP and AST. These results demonstrate that topical application of EEP may improve psoriatic-like skin lesions by suppressing functional activity of macrophages and ROS production. Taken together, it is suggested that EEP can safely be utilized in the prevention of psoriasis-related inflammatory changes without causing any toxic effect.